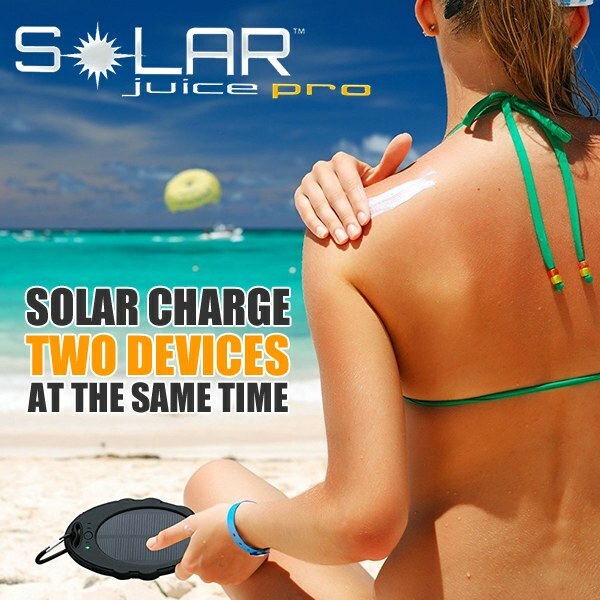 The Solar Juice Pro is a solar powered mobile charger that features the ability to charge any 2 devices simultaneously! Never be out of power again with this portable and sturdy charger. Excellent for hiking, boating, beach, biking and many other outdoor activities. Comes with a 5000mah Powerful Lithium Battery. Use with your smartphone, iphone, ipad, portable gps, bluetooth headset, etc. Works great, juices well and multiple fruits or vegetables can be used. Great product! Great results, went camping, cell phone died, attached to Solar Juice and Voila, cell service. Thank you for this great little product.